In Passenger, Nicholas and Etta journey through time to uncover the lost astrolabe, a relic that could reset the timeline to its original state. At the last second, the astrolabe, now found, is stolen once more. In Wayfarer, Nicholas must pick of the pieces to not only find the astrolabe again but also Etta, who is lost in time after it shifted. When he makes a deal with a witch, Nicholas seems to have gone too far; giving something valuable in order to find what truly matters to him may not have been worth it. Wayfarer is an epic sequel, surpassing even that of Passenger in a time travel epic that will astound you. We are literally thrown head first into this time travel adventure. There is absolutely no warning. This is most definitely the right way to start off a sequel. Passenger had a rough ending but Wayfarer brought the magic back so fast that you barely have time to breathe. I recommend binge-reading the series to get the most of it. The action is undeniably thrilling. I couldn't stop reading even if I wanted to. Bracken would not give me a break and every scene was pure entertainment. It was heart-stopping, from beginning to end. Nicholas has always been such a gentleman and I think we get much more of his gentle wholeheartedness in Wayfarer than we did in Passenger. It was great to see his character round out a bit more. In Wayfarer, time is of the essence, which definitely kicks everything up a notch. As much as I love Nicholas, I could strangle him for some of the decisions he made in this book. It turned my heart to see him in these circumstances that not only put people around him at risk but also himself. That, my reading friends, is gorgeous writing. In this high-stake adventure, you will be on the edge of your seat. Every chapter better than the last in this sequel which is better than the first. It's always interesting when we get a new perspective on things. We can look at the story a little bit differently with a new view on it. Sometimes this comes in the way of multiple point-of-views, but with Wayfarer, we meet some new characters who have a very different way of seeing the past. It can easily put you on edge with whom to trust, whom to believe. It definitely keeps you on your toes. Despite the fantastic plot, I am still quite unconvinced with Bracken's time logic. There just seems to be too many holes in her logic. For starters, a lot of people would be coming back from the dead if the timeline keeps getting rewritten. With their now-alive status, it would affect those around them and thus, keep changing the timeline to fit. Much of the time travel logic Bracken threw at us in this duology just didn't seem to add up all the way. However, taking a look at the most basic sense of her time travel, it is easy to ignore the otherwise holey points. 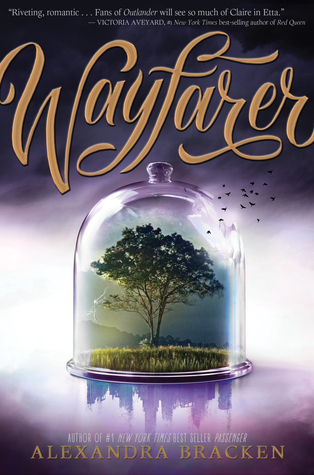 Wayfarer is filled with unexpected twists, a sequel that takes on an entirely new direction no one imagined. This is not just an adventure but an epic. It's absolutely incredible, a fascinating story that will steal your thoughts every minute of the day. Finally, we are blessed with some major answers to the long list of questions we posed in Passenger. The sequel definitely does not disappoint, going above and beyond what we expected. 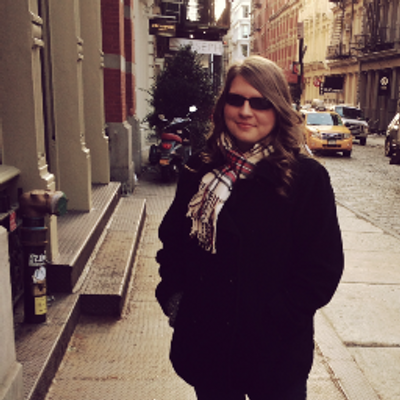 I was hesitant to read Wayfarer. If the ending of Passenger was any constellation what we had to look forward to in Wayfarer, I was ready to steer clear of it entirely. Despite my qualms, I was pleasantly surprised when Etta remembered her time in the first book, which was one of my concerns from the "going back to the beginning" ending of Passenger. 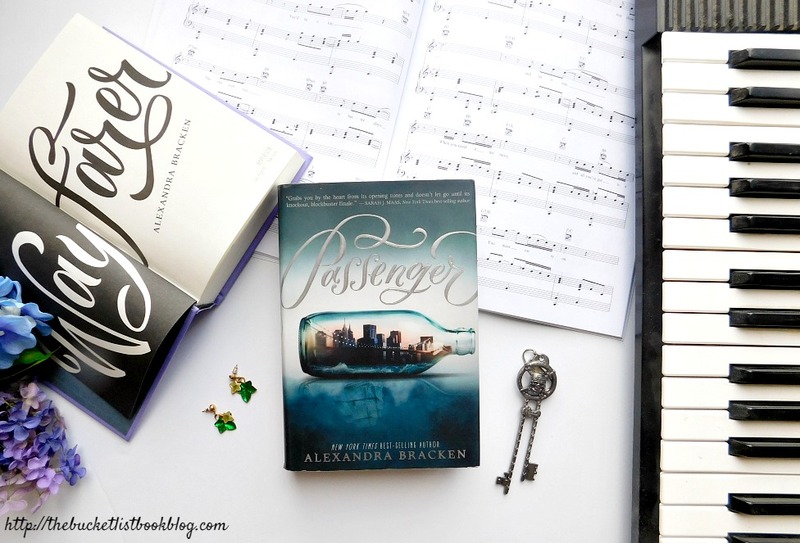 You can read more about my disappointment of the ending to Passenger in my review, but I found it to be quite the cheat. In the end, I am happy I read Wayfarer: I wanted to know what happened and I'm immensely glad it turned out the way it did. The prospect of going back to the beginning--as if the story itself is restarting gives Wayfarer a non-sequel-like quality. Bracken is essentially starting over. So, what you get is a fantastic story without the dump of explanations that held us back in the first book. It is a sequel without limits. Bracken keeps adding layers to the plot with her new time travel logic, as well as all the different quests she puts her characters through. She could have easily made this into a trilogy. However, keeping it as a duology keeps it from becoming too long (though I doubt this series could ever be too long). It is just the right amount of amazing to make us keep coming back for multiple rereads. This sequel certainly does not suffer from second book syndrome. 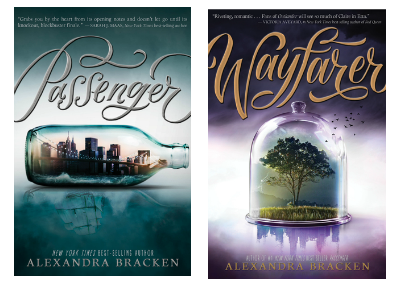 Wayfarer actually begins to take a life of its own, beyond Passenger, within Bracken's time traveling world. It is tremendously amazing and entirely action-packed. Have you ever written a review and just had to stop because words fail you at just how awesome the book was? This is that review. I never saw the climax ending in such a way. It was a complete surprise and I am still floored because of it. Immediately, I was quick in tears, knowing that this is the end of the series. (It always takes me forever to finish series because I never like reading the end-- I don't want it to be over!) Wayfarer is a fantastic sequel that knows no bounds. You will be pining for a reread of this amazing duology just to visit the characters once more. I absolutely adored how the beginning and the end connect with the prologue and epilogue, with the mother's story as a child. It was such a genius move to have the story come full circle in a way Passenger didn't. The ending will be sure to put a smile on your face (and maybe some happy tears too). 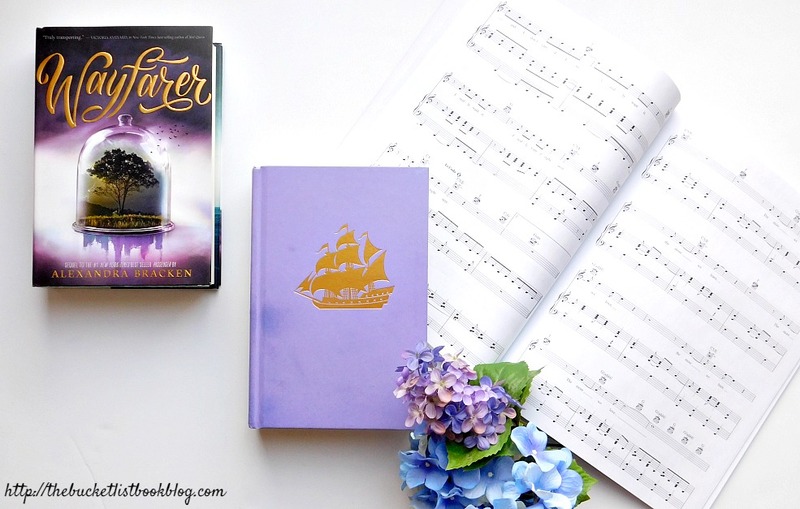 Wayfarer by Alexandra Bracken is a magnificent sequel that goes beyond the confines of one, pushing you to give the duology an immediate reread. It will easily become one of you favorite series with its well-written characters and unexpected story.